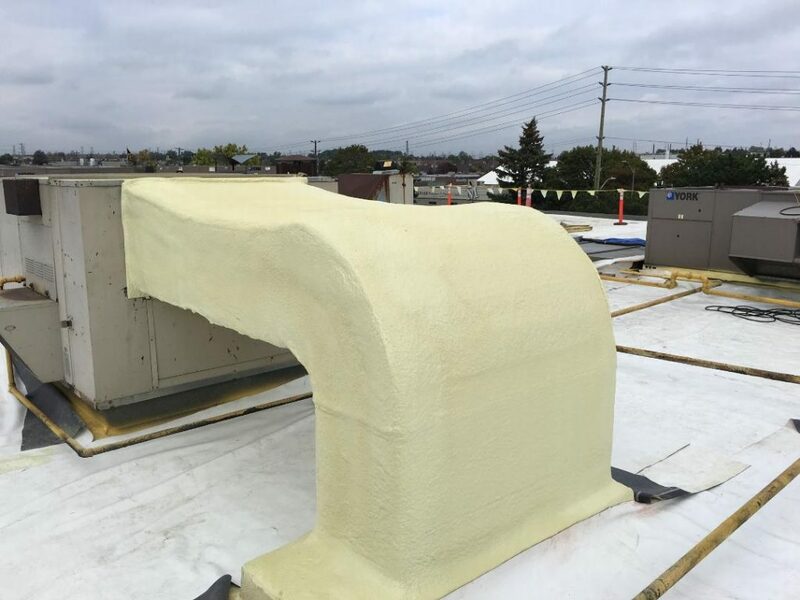 If you’re like most commercial or industrial building owners in Ontario, you probably know what it’s like to invest a ton of money in a seemingly reliable industrial or commercial roofing. 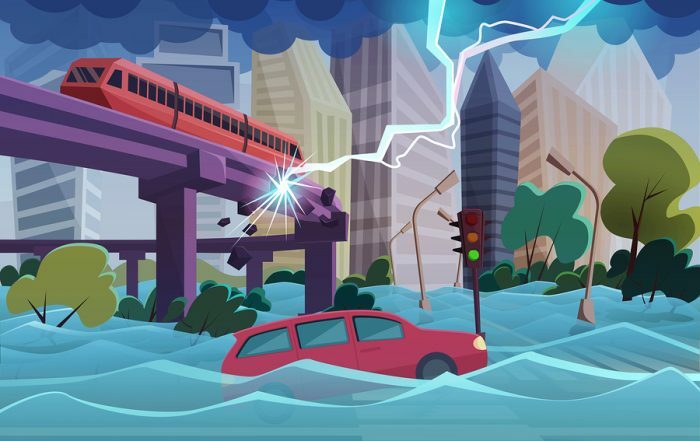 Later on, you find out that it was poorly installed, got punctured, cracked, and blistered – all resulting in costly repairs, leaks, expensive energy bills, and damage to your building’s interior. At the same time, you’re trying to keep up with the demands of your business! Before now, the only answer to your Ontario roofing problems was to move on to another company that can promise you a BETTER roof. Unless you can find one with a proven track record, all you can do is HOPE and GUESS. A faulty or leaky roof? Disruptive and noisy roof maintenance work? Or an overall bad roofing job? 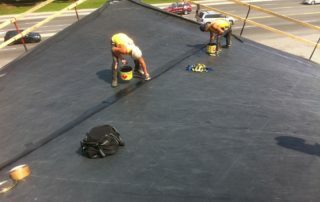 As one of the best commercial roofing companies in Ontario, Cox Roofing Systems is committed to safety, quality, and high environmental standards. Employees go through mandatory training and each individual on the team meets all safety and certification requirements. This commitment ensures that your staff, and ours, remain safe and that you receive the best quality product – a product we stand behind with our 10 & 20+ year renewable warranties. Think that repair costs are the only expenses you’ll have to deal with when your roof gets damaged by the Ontario weather? Think again! Any damage on your roof decreases your energy efficiency to a significant degree. The result? Your heater or air conditioner must work harder to provide you a comfortable temperature. 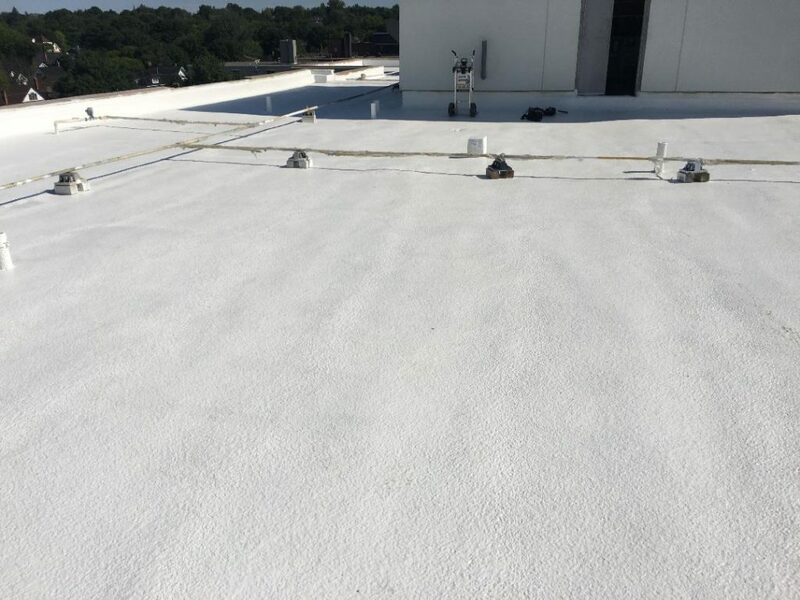 Among the many commercial roofing companies, Cox Roofing is the only one that offers TTR® (Tri Thermal Roof) – a roofing system that combines the insular qualities of existing roofs in the market. Our TTR® System will ensure you cooler summers, warmer winters and a DRAMATIC DECREASE in your energy bills. Not convinced? 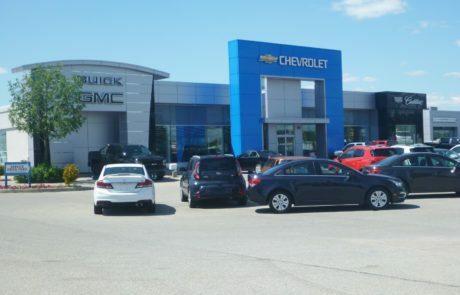 Here’s what our customers have to say. 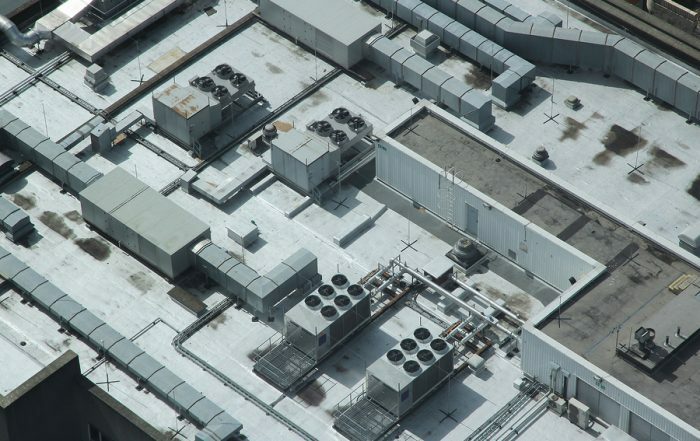 Roofing systems are key components of commercial buildings and must, therefore, be able to provide maximum protection from the scorching heat of the sun. 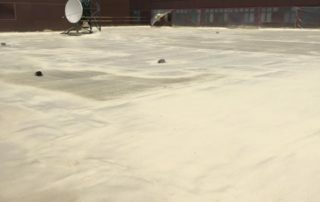 UV rays from the sun affect the physical state of roofs by causing blisters and increasing their rate of deterioration. 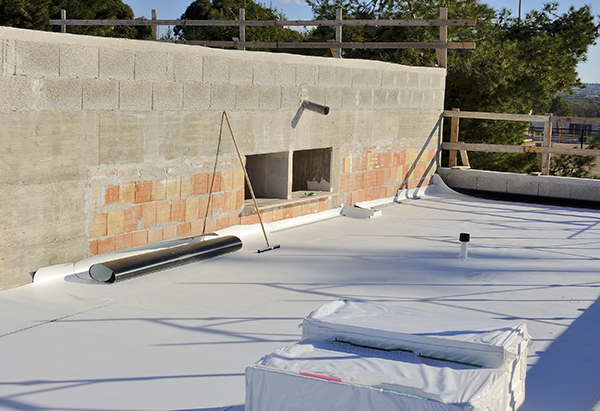 Moreover, the chemical reactions caused by UV light can damage a roof’s membrane. Our TTR tm Roofing stems safeguard your industrial or commercial roof from UV degradation to prolong its life for up to 50 years. Not only that, if you choose our TTR® Roofing System, your roof will benefit from top-notch waterproofing. 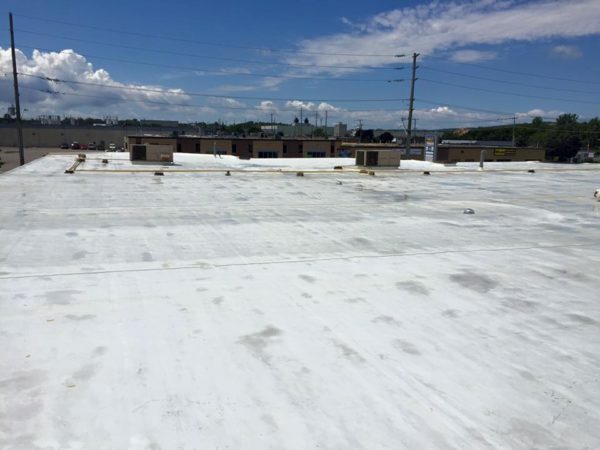 In a rare situation where your roof’s membrane gets punctured, you don’t have to worry about water entering your building and damaging your equipment or causing injuries to your employees! Removal of an existing roofing system to install a new one can be disruptive to nearby establishments and your building’s occupants. 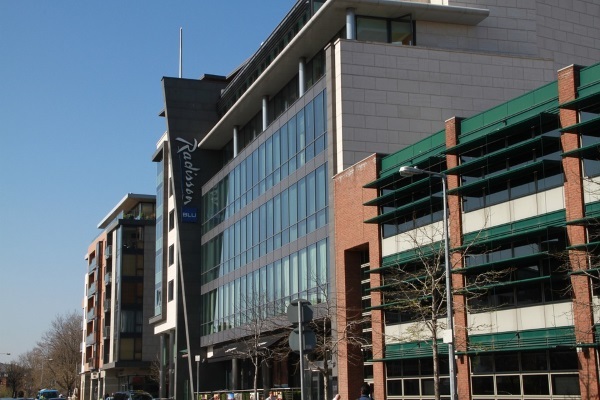 One of the best advantages of choosing our TTR® Roofing system is that it can simply be installed in a single day. You can be assured that your business operations won’t be interrupted while we perform an industrial or commercial roofing installation. 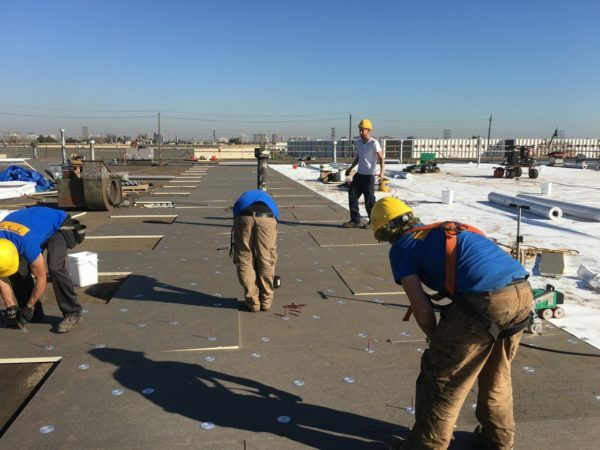 And because we’ll be reusing your existing roofing system along with our TTR®, you can contribute to a greener environment by reducing landfill waste. 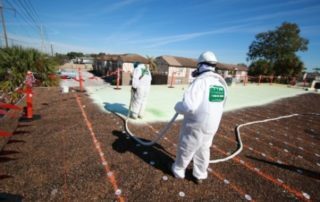 Our roofing products have been designed to withstand the toughest weather conditions in North America – hail storms, strong winds, hurricanes, and more. 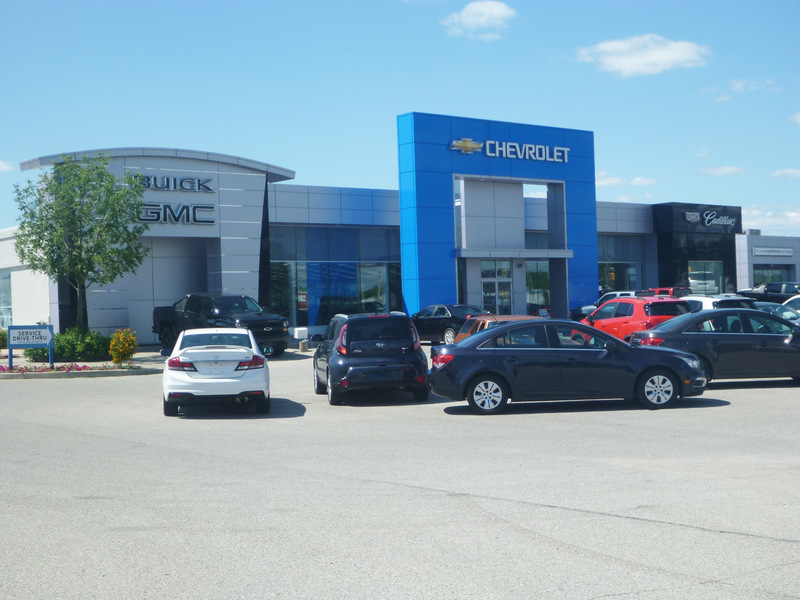 Your complete satisfaction is backed by our 20+ year warranties. During the entire life of your warranty, we also inspect your Ontario roof every year at no additional cost to prevent and mitigate any damage. This further extends the life of your roofing system. 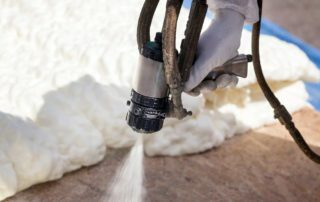 Will having a good roofing system impact your bottom line? Absolutely! This thermoplastic roofing system is lightweight and therefore is very easy to install. 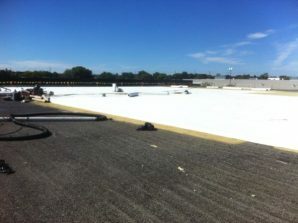 Its white membrane offers a reduced cooling cost and energy savings during the hot summer months. 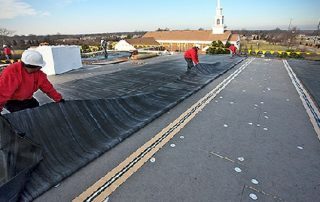 This quick installation roofing system will adhere and expand as it is applied on your roof. Maintenance is typically required every 5 years to renew the UV coating barrier..
We’ll lift the heavy burden off your shoulders with our affordable and lasting solutions that are trusted by our customers for years. You can reap all the benefits of a reliable roofing system and end your problems once and for all by getting started today.